Having that ‘Eureka!’ moment is something few of us experience. 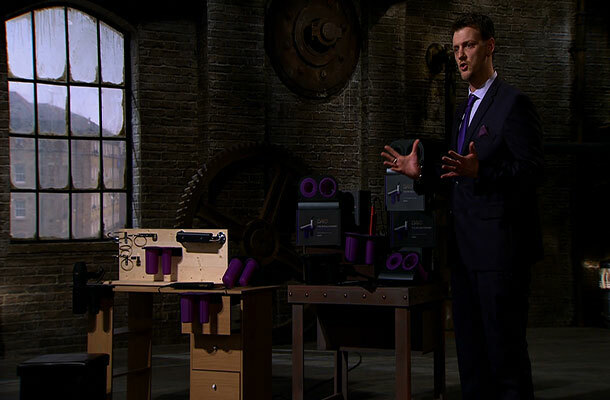 It was great seeing two passionate inventors demonstrating their creations to the Dragons tonight. It proves there are still innovators going strong out there and is a testament to their hard work and dedication. Filled to the brim with confidence, entrepreneurs Tom Bell and Craig Bailey were pitching FoamAroma UK Ltd. 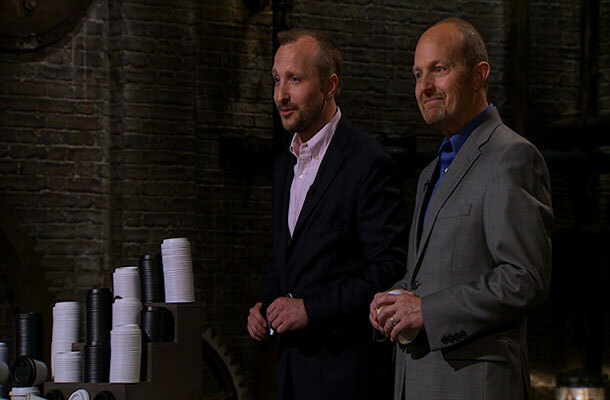 Inventor Craig’s product – a lid for paper cups which offer a better experience for on-the-go coffee drinkers – was a re-design of an everyday item. Fuelled by a caffeine-boost, the Dragons were on form as they roasted the pair on their business proposal. Despite a valiant effort, they didn’t get to take away the £80k investment they were hoping for. But while FoamAroma may not have helped the duo put a lid on a Den deal, it did make me think. It’s a simple innovation, so I was surprised when Deborah Meaden dropped the ‘p’ word. “They can’t have a patent for that!” I shouted at the screen. Clearly, I was wrong. What makes a patent valuable is when it’s difficult to overcome it…I just worry that what you’re relying on here is not that valuable. Even though the criteria above are the official rules (so to speak) for obtaining a patent, in my mind there’s a fourth rule which is just as important. And that’s to make sure your invention is worthy of a patent. Patent claims set out the details of your invention and form the basis of the protection you’ll get. They are complex legal statements. One small flaw or omission in your claims could be the difference between assured protection and opening up your idea for competitors to steal. Your patent would become as useful as the famed chocolate teapot. Hairdresser David Audsley also falls into this category. Depending on prior art and other products already on the market, his invention, the DAIO, is potentially patentable. Despite retailing at a pricey £39.99, he was still in a lot of debt and clearly not seeing the return on investment he’d imagined. So while the product itself was a winner from a safety and purposeful angle, it just didn’t make sense financially. It’s no wonder the mention of a second invention nearly sent Deborah into meltdown! Always consider whether the potential profit you could make from your invention will outweigh the time and effort spent. Not only on research and development but also obtaining and maintaining a patent. Both FoamAroma and DAIO are proof that a high spend doesn’t necessarily equate to a high-value product. You might think I’m suggesting that a simple invention can’t be valuable. That’s not the case; an innovation doesn’t need to be complicated to be revolutionary or money making. What makes it valuable is that it fills a gap in markets or provides us with a product/service that we never knew we couldn’t live without. Think of fabric fastenings, sticky tape (naming no brands of course) and even the humble sliced bread. If you’re sure a patent is for you, it’s vital that you seek professional advice. A patent attorney or another IP professional will advise you on the process and prepare your application so you secure the protection you need. To avoid getting into hot water with a patent (or any other IP rights), you should do as much IP research as possible before making any plans. IP for Business is a great place to start. It’s a free online resource full of interactive tools, guidance and case studies designed to help you get the most of your IP. Why not grab a coffee and take a look?